Use these staircase strategies and hallway ideas to amuse your eyes as you move between the different rooms and levels of your home. As conduits between the different levels and rooms of your home, staircases and hallways are self-effacing and strangely invisible, adequate for their purposes but rarely meriting a second look. This weekend, focus your design and DIY energies on these stylish strategies for stairways and handsome hallway ideas. The most enviable houses, after all, surprise and delight occupants and visitors along every passage and in every corner. 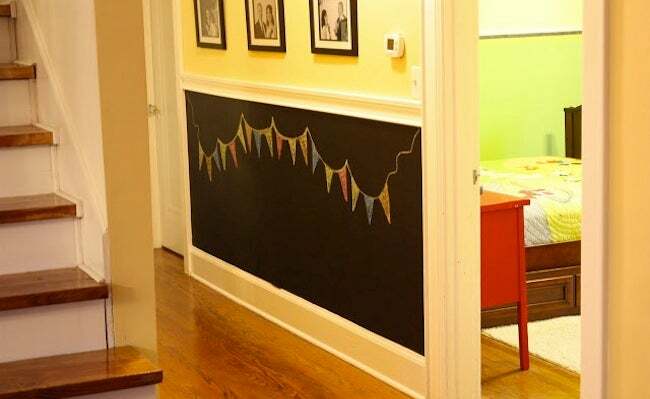 Among the many hallway ideas floating around the net, this family-friendly concept from Nest of Posies stands out: Coat a wainscoting panel with chalkboard paint in order to create a centrally located notice board for school bus schedules, wifi passwords, and day-to-day reminders. 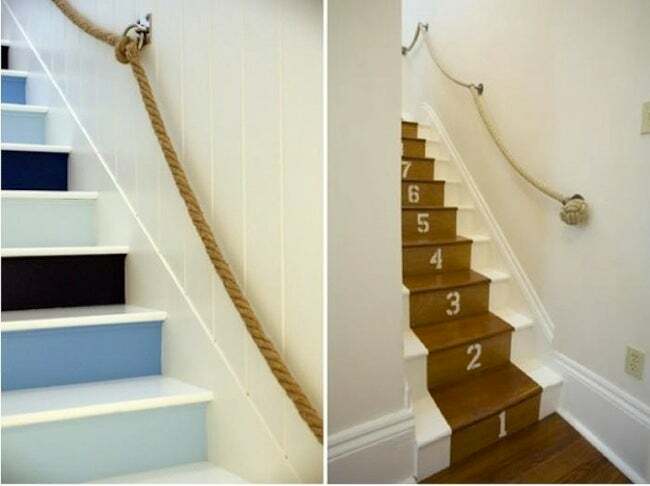 Even if your stairs already have a banister, consider making a wall railing out of rope. DIY Network provides a video tutorial on the simple steps involved in this low-cost, high-impact project. The result is a nautical, non-traditional look, which can wake up your sleepy staircase with a clever and fresh design jolt. 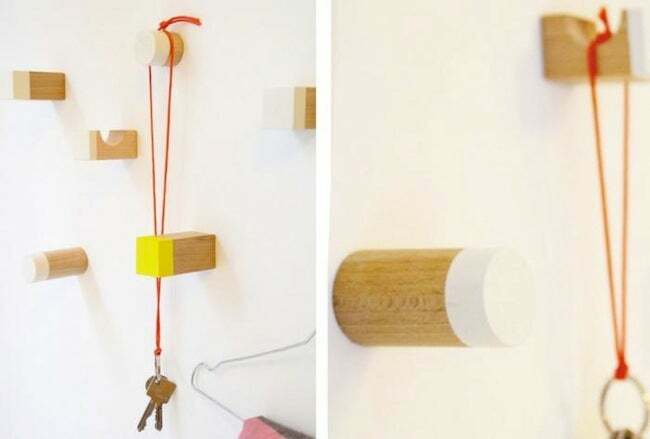 Fun yet practical, these simple and geometrically satisfying DIY hangers are ready to hold those items you often grab on the go—keys, hats, and so on. To make your own version of this hallway idea, dip wooden blocks (sold online or at your local toy store) in your choice of paint, then screw them into the wall. 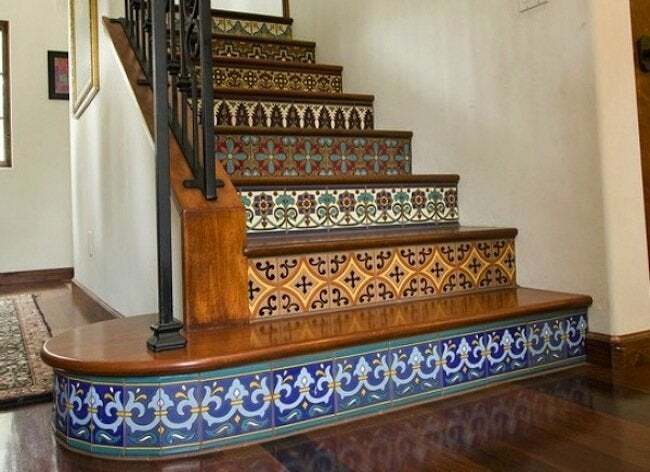 While painting stairs is one popular way to make the trip between floors more memorable, there’s no shortage of charmingly offbeat DIY ideas out there. Start your search for inspiration with this washi tape instructional, continue on to this tiled riser tutorial, and don’t miss this lovely wallpaper approach. 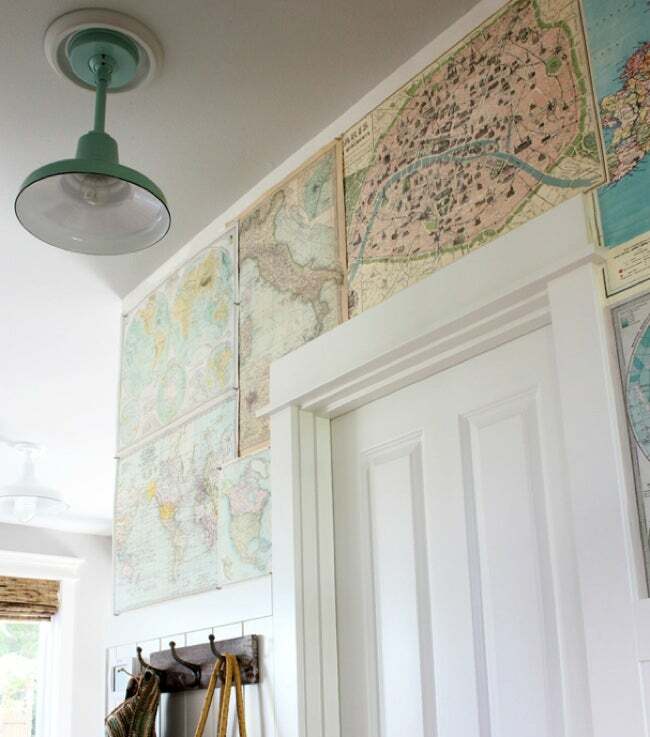 There’s a poetic justice to the concept of wallpapering hallways with old maps or atlas pages. Hallways, after all, enable you to travel around the different parts of your house. Use wallpaper paste to set your chosen paper, or opt for a temporary installation, using flat-headed tacks like in the installation pictured.